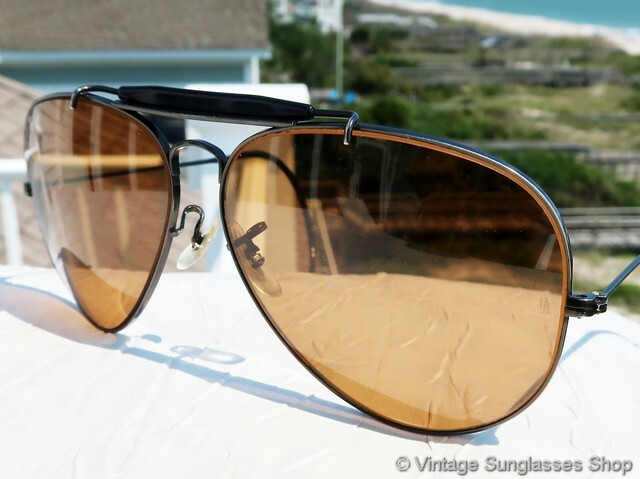 Rare vintage B&L Ray-Ban 58mm black Ambermatic shooter is one of the very best looks in vintage sunglasses, combining black shooter frame with Ray-Ban's famous Ambermatic photochromatic lenses. 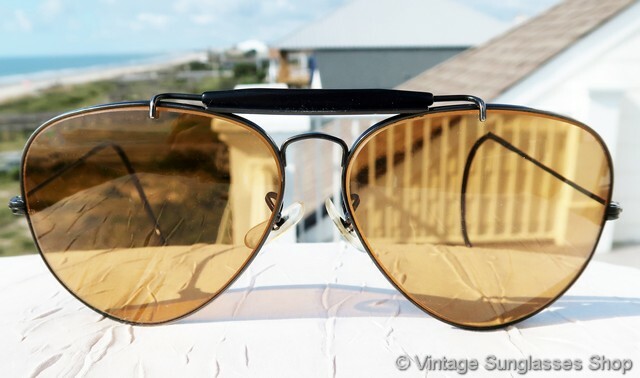 We will see at least 100 vintage B&L Ray-Ban Ambermatics in a gold plated frame for every one in a black chrome frame, but here you have one. 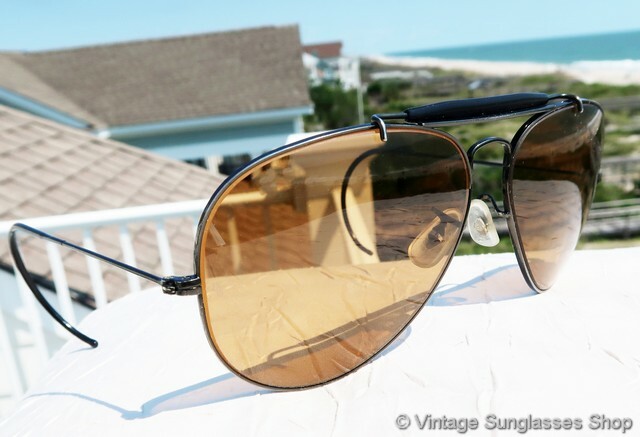 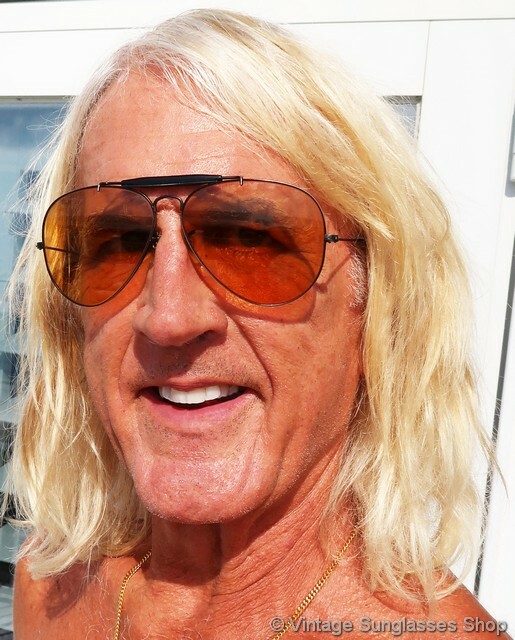 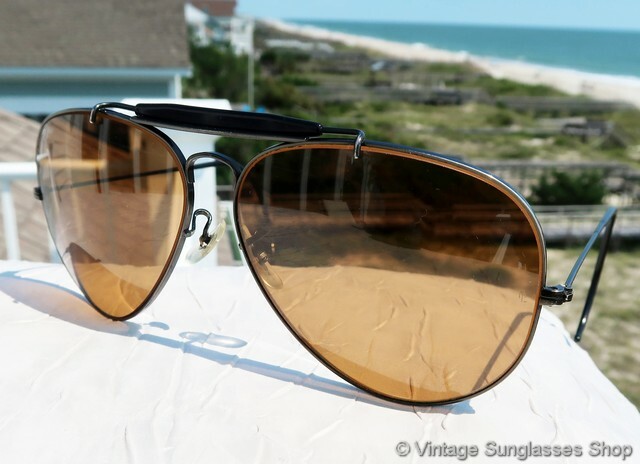 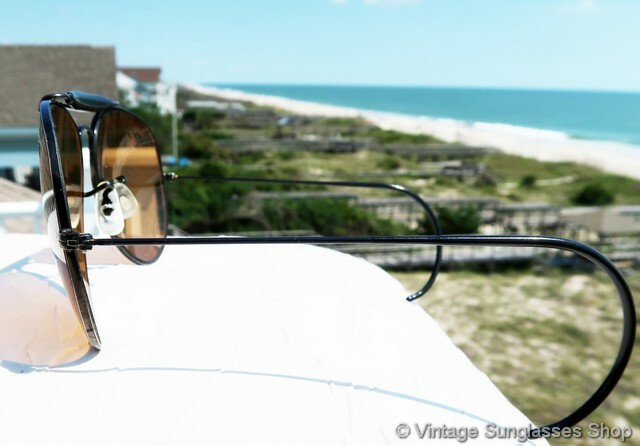 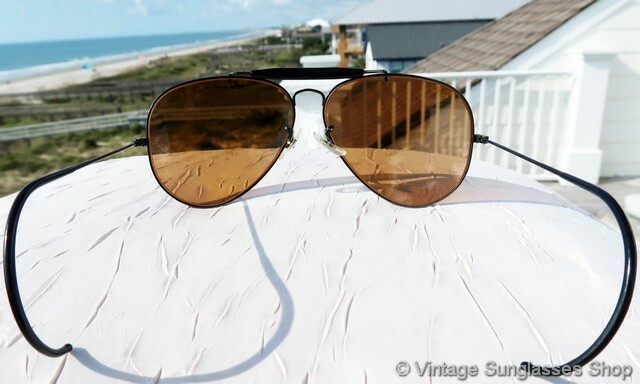 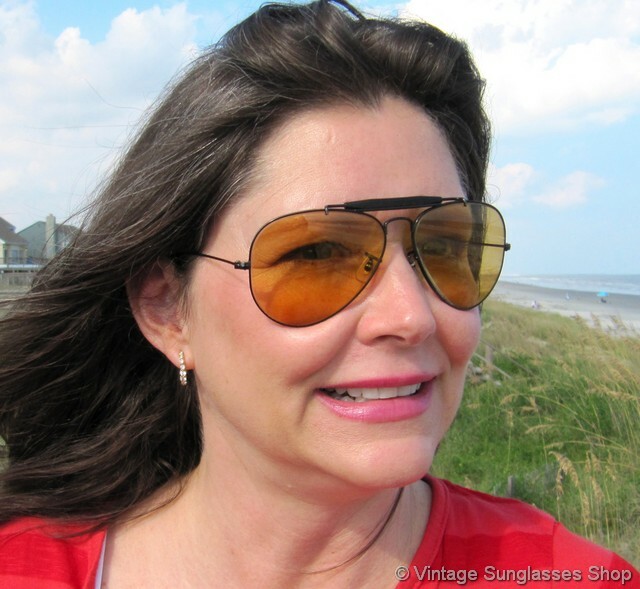 The vintage Bausch & Lomb Ambermatic lenses are photochromatic, darkening in sunlight to provide added anti-glare protection for your eyes; this photochromatic property is infused in the glass and will not wear out or wear off over the years. 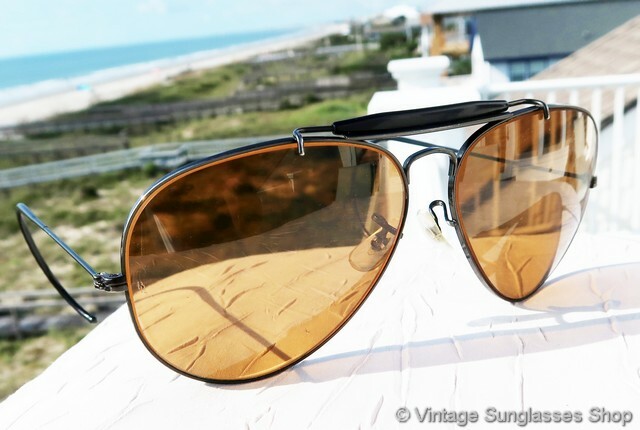 Ambermatic shooters are one of our top sellers, but it is unusual to find the vintage Ray-Ban black Outdoorsman frame paired with vintage B&L Ambermatic lenses. 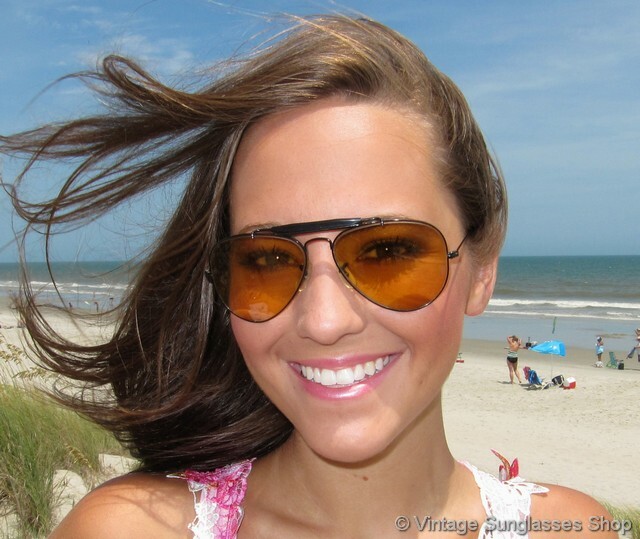 The frame is a good unisex size at approximately 5.25" temple to temple, and the 58mm Ambermatic lenses measure approximately 2.25" x 1.875" at the widest points. 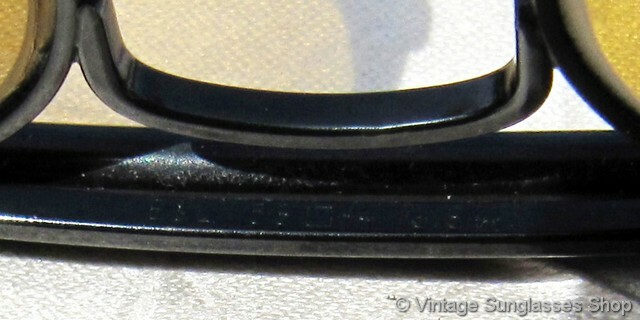 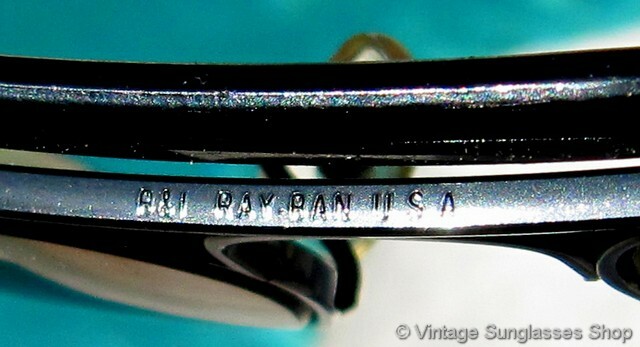 The top of the nose bridge is marked B&L Ray-Ban USA, and the bottom of the bridge is marked B&L 58  14 USA, all impressed in the metal. 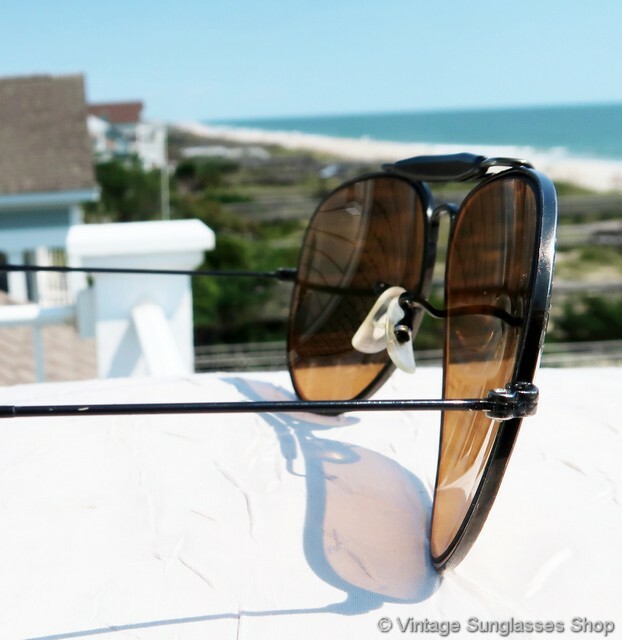 The cable ear stems give you a secure fit in all conditions, part of a Malibu, California estate collection of the finest vintage eyewear.